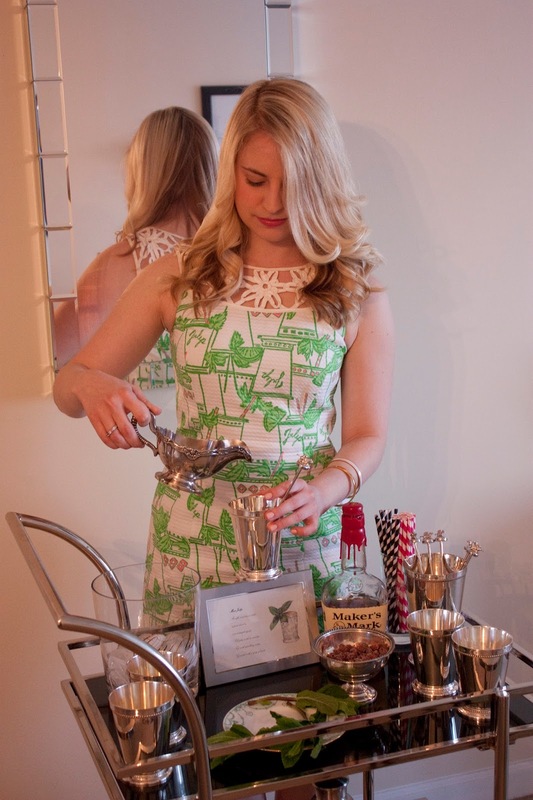 As promised, here is Megan with her Julep recipe! Don't you just love her vintage Julep cups, the silver gravy boat repurposed to hold simple syrup, and those equestrian swizzle sticks?! Megan: The mint julep is a cocktail that is imbued with equal parts tradition, heritage, pride, and bourbon. 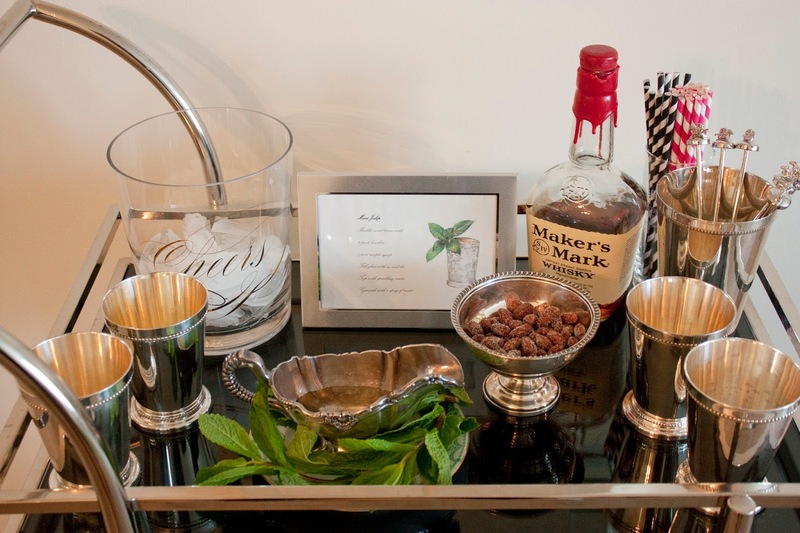 While the basic ingredients (whiskey, sugar, mint, ice) remain unchanged across recipes, there are quite a few schools of thought when it comes to proper julep fixing technique. I hardly consider myself to be any sort of expert, so I just make mine to taste and usually end up inebriating myself in the process. 1. 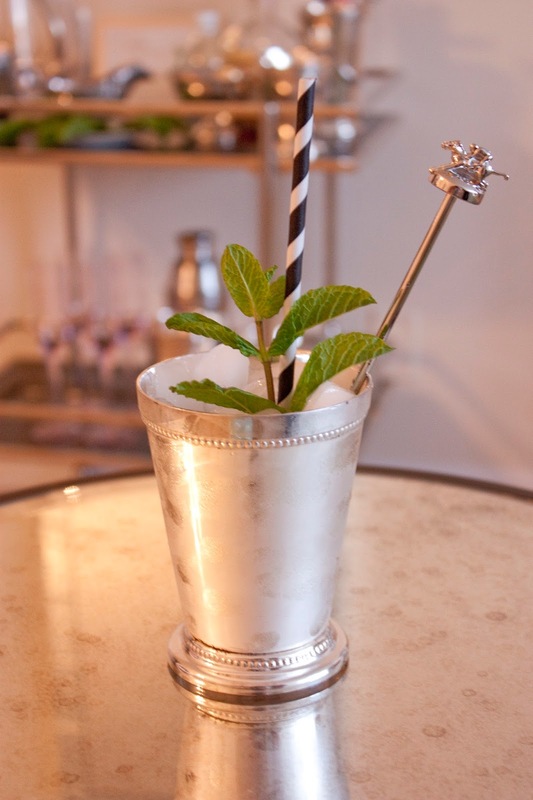 In a chilled julep cup, gently muddle fresh mint leaves to release the oil and aroma of the mint. I like to use an equestrian-themed cocktail stirrer to do so, but the back of a spoon will also suffice. 2. Add two parts Kentucky bourbon and one part simple syrup. This is a classic Southern cocktail, so it should taste two parts boozy and one part sweet. 3. 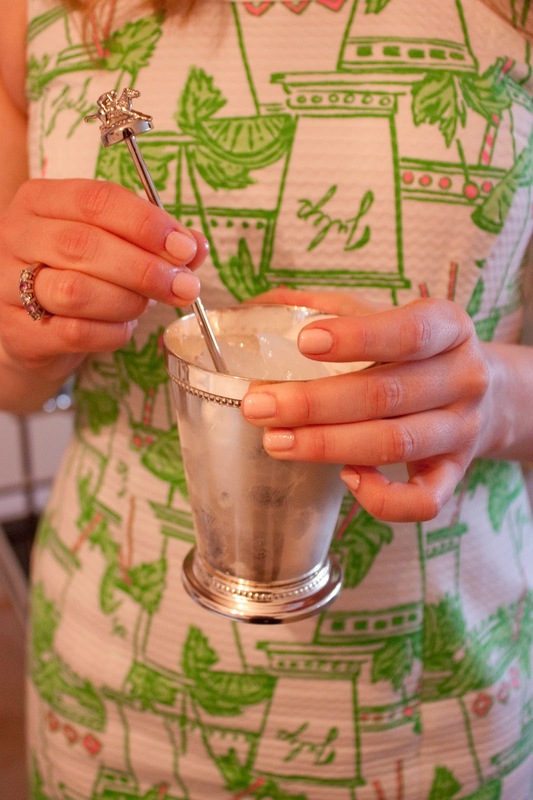 Fill glass to the brim with crushed ice and stir with enthusiasm until frost forms on the outside of the cup. 4. Top with club soda for a little fizz. Some may call this step heresy; I call this step hangover prevention.